As the close of elections creep up upon us, we decided to take a look back at some of last year’s top facts and figures. It’s the time of year when the student population cast their votes to decide their unions’ leadership, and SU staff are working hard to ensure that the elections process runs smoothly and successfully. The run up to the elections and the planning process can be a demanding time in the students’ union calendar; from encouraging potential candidates to stand for election, setting up the online nominations and elections, collecting the candidates’ manifestos, turning campus into a vibrant hive of campaigning activity, organising hustings and achieving an increase in voter turnout. Democracy is firmly at the heart of every union and the elections process is paramount to that. SU staff play an important part in a process that ensures that students’ rights are defended, that they are represented on a local and national level and are able to shape their educational experience at their institution, as well as the world around them, through their elected officers. What are your new officers’ priorities? We would love to know what your upcoming officers’ priorities will be next academic year, please do forward your new Presidents’ and Vice President’s’ manifestos onto us once your elections close, so that we can get a clear idea of the areas in which we can support you. 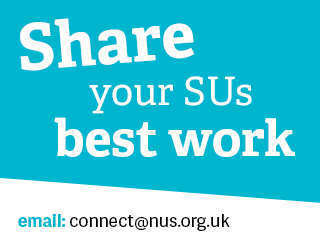 If you have an amazing elections campaign that you would like to share with the SU community please get in touch, we’re always interested to see the innovative ideas that you come up with year-on-year. Good luck, let’s see what we can achieve in the 2016 sabbatical elections!